Find a proper casino on the side of the article, make sure you deposit to grab the welcome bonuses of the same and have fun while playing House of Fun Slot. Inspired by the story of Paul, Jane and their dog entering the House of Fun, Betsoft Gaming decided to create House of Fun Slot, which is an exact replica of the saga. These guys enter the creepy house when their car breaks down only to find some quite interesting things inside. Instead of the scary elements, in House of Fun slot, you will experience some nice treasures and prizes that it’s up to you to try and grab! The game possesses five reels and 30 paylines and you can spin the reels as soon as you select a casino where you can play the game. The casino is an important part of your gameplay and we will talk about them in a section below. The game can be spun with a denomination range from £0.02 up to £150.00 where the maximum amount that you can win is a coin multiplier of x1,250. If that’s something that grabbed your interest, hit some of the Play buttons on the side and go to the slot immediately, or read the full review below to get to know the game better. The slot game has some fantastic looks and features installed, but you should definitely give the sound effects a try, so turn the speakers up and let’s check the design of the slot. We have to warn you, there might be some scary effects in the back! A pretty dark and creepy atmosphere awaits you as soon as you enter the reels of House of Fun slot, and that’s expected! The whole screen looks like a scary house that people pay to go and entertain themselves. The top is for the logo of the game as well as for the scary roof of the house. We can see two stone dogs with wings, who are devastating the dog that is with Paul and Jane. The sides are for the paylines of the slot which you can mouse over, and they will show on the screen. The bottom is for the adjustable features where you can select the lines and the bet per line. Here, you will also find the features like Auto Play and Bet Max, right next to the magical spin button, Paul, Jane and their dog. All the symbols of the slot are related to the theme of the game. We can’t see higher and lower valued symbols in House of Fun slot, just like in most of the modern video games, as there are only higher-valued symbols. They are all related to the theme of the game and are characters tat can be found in the game (all except Paul and Jane, as you are playing with them). We can see a cat, a gargoyle, a candelabra, a mirror and a portrait. There are no wilds in this game, but don’t get disappointed yet, as you will see three different bonus symbols which trigger the three bonus features of the slot. We can see Jack in a Box, a madman with a hat and a door knocker. When these symbols land on the screen, you are about to play a bonus feature. Read about the bonus features below. 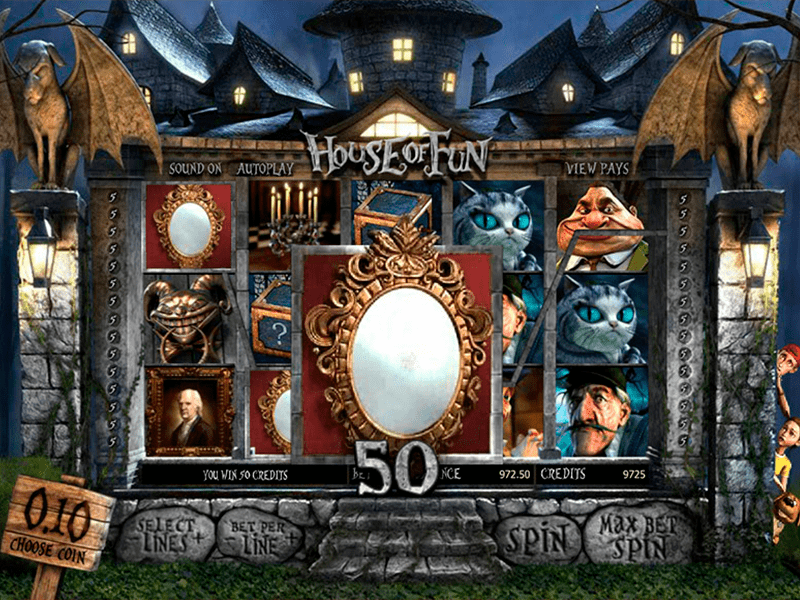 House of Fun slot is a really interesting game with a lovely screen and tons of bonus features. The slot game has five reels and 30 paylines. It belongs to the Horror theme of the video slots community and can be found in most of the casinos, as it’s quite a popular slot game. It’s also not that old, being developed in middle 2016. You can start playing the game as soon as you choose the right casino for it. Not all the casinos have all the games, as there are more than 10,000 slot games in the world. You need to find a proper casino that has House of Fun slot in its arsenal of games and play the game there. The casino is a really important part f your slots playing, and you may ask yourself why. Because you will spend all of your time on the pages of the casino, and the casino will be responsible for your deposit and withdrawals. The casino will also offer its customer service as well as a welcome bonus that you can enhance your gameplay with, so you need to make sure you choose the right casino with the best welcome bonuses. Luckily, with us, that’s what we are searching for, and striving to present you! The denomination of the slot is the amount you play with, and in House of Fun, there is a nice range to it. When you play with your Coin Size and Paylines, the denomination changes, and it can vary from £0.02 all the way up to £150.00. 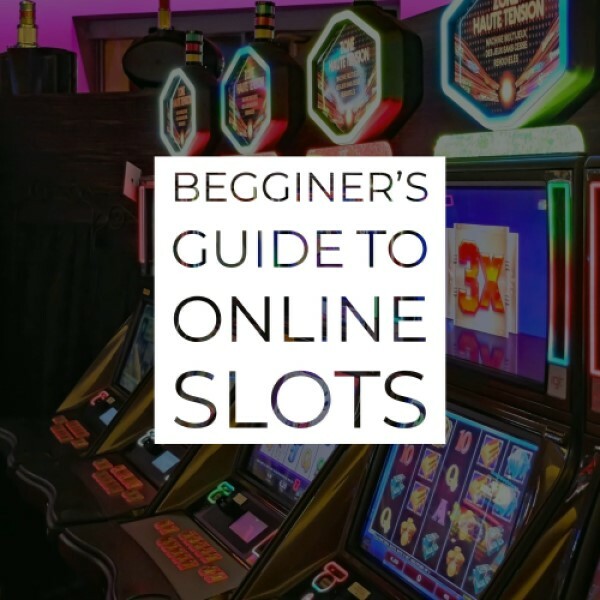 This can be pretty awesome for some slot lovers as the range is huge and they can set up the denomination that they want. The Coin Size is what sets the denomination and the final number that you play with. You can adjust it at the bottom of the screen, and in House of Fun slot, the maximum coin size that you can set is 5, while the minimum is just 0.2 coins. The paylines are where you position your symbols, and some slot games offer you the option to change them while others have fixed paylines. In House of Fun slot, you can change the symbols to your desired number, from 1 payline all the way up to 30 paylines. We always suggest that you go for all the 30 paylines, and if the budget is your problem, simply play with a lower coin size. You don’t want to be missing on the lucky winning combinations because your payline was not active. To enhance your gameplay, you can use some of the features which are present in almost all of the slot games. One of those features is Bet Max, and this is also the most dangerous feature if you ask us. What Bet Max will do is it will set the maximum denomination, coin value and level of the game, and it will also activate all of the paylines of the slot as well. You don’t want to be messing with this feature unless you have a huge budget. The Auto Play is another feature present in almost all the slot games which set your reels spinning automatically. You need to set the desired number of auto spins and the denomination with which you want those spins to go and you can start the feature. You can go completely AFK and forget about the game, play another slot, make your favourite cup of tea or whatever you want, the game will spin the reels for you. Each slot game has a maximum jackpot that you can win, and in House of Fun, the maximum amount that you can win is a coin multiplier of x1,250! This is determined by the coin value of the spin that you manage to hit this winning combination with. We include a big win example in all of our slots reviews just so you can see that it’s possible and someone else has already done it. Click Here to follow a link to YouTube on a video we don’t own, but it’s here just as an example for you. There are three bonus features in House of Fun slot, and each of them has a lovely surprise in it. There is one feature called Escape Bonus Round, the all-players’ favourite, Jack Free Spins, as well as a click bonus feature with the simple name of Mad Click Me Feature. Let’s check them out. If you manage to land three or more of the Door Knocker bonus symbols anywhere on an active payline, you will trigger the Escape Bonus Round. This feature starts in a different room where you will play a simple Pick Me feature. You need to find the symbol which will let you exit the room. Each time you fail to find that symbol, a Jack in The Box will appear behind it and award you prize so you figure it out whether it’s better to escape or stay in this feature. Not that the same doors can be clicked more than once. Three or more of the Jack in The Box features will trigger this feature. In this round, the middle reel will be completely wild until the feature ends, which will definitely help you and make this Free Spins feature one of the best in the online slot world. Three of the Madman Bonus symbols on the 1st, 2nd or 3rd payline. This is another simple Pick Me feature where you want to avoid the “Collect” button if you want to obtain more prizes. All of the providers are aware that half of the players are visiting the casinos through the palm of their hands, through the smartphones in their pockets. This device offers you the chance to login to your favourite casino and play House of Fun slot regardless of the casino that you’ve chosen. You can play the game on an Android, iOS or Windows phone. If the casino has an application that you can download it and make things easier and more interesting, or you can visit it through the browser and experience the same game as you would’ve if you played on a Tablet or Lap Top. The RTP is an abbreviation of Return to Player and it’s used to indicate the amount that the online slot machine returns to the players over a longer period of time. If you want to know more about the RTP and how it works, you can check our Detailed RTP Guide. This RTP is exactly like the online slots average, and it is a percentage that you want your slot game to have. House of Fun can be played in some of our casinos on the right-hand side and all you need to do is choose the right one based on the welcome bonuses and your past experiences. You can always read the full review of the casino that we have and check the players’ ratings. House of Fun Free Play is also an option – It’s also called House of Fun Demo and you can probably find it somewhere on the internet. This means that you can play the game for free, with credits that are given to you from the site, and usually, you have an unlimited number of spins i.e. unlimited credits to play with. Every step of the demo game is exactly like the normal one: from symbols to RTP and bonus features, to the overall design of the slot and the music. The only thing that differs is the credits that you play with. Since you are not investing anything in the slot, you can’t take away what you have won.